Deb's Card Buffet: Titus is 5 Months Old! 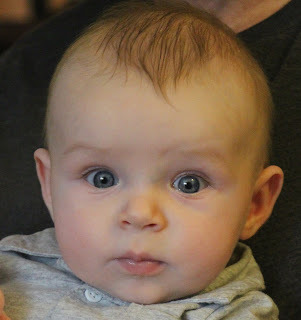 My adorable little grandson is now 5 months old and he's a cutie but then I'm prejudiced. 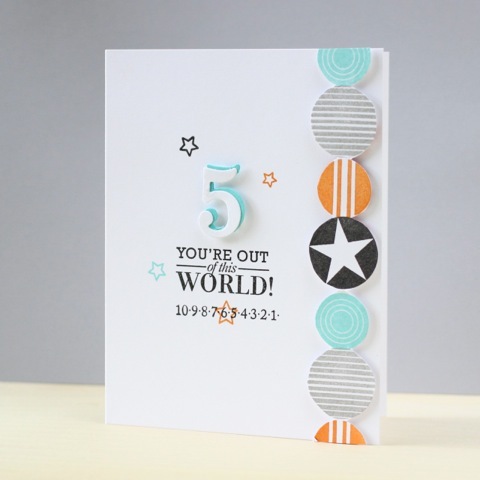 Here is the card that I made for him. 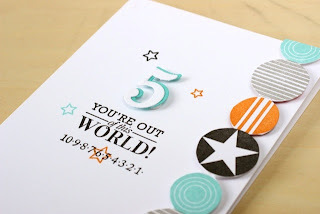 I case'd this card from KandRdesigns because I thought it was adorable and perfect for this occasion. I didn't have the Simple Circles die that Kara used so I just stamped the circles all right next to each other and then cut them out by hand. Wish I had that die! And here he is. Happy 5 month birthday, Titus! I love it!! He is so precious! !